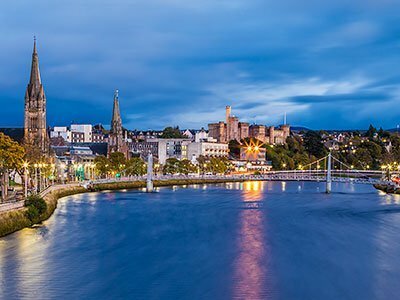 If you love eating out you’ll love Inverness – the food capital of the Highlands. We haven’t counted them all, but there must be well over 50 restaurants and pubs serving food within a 20-minute walk of Inverglen Guest House. We couldn’t possibly list them all here, but what we have done is highlight some of our personal favourites. We do try to visit as many as we can at regular intervals (a tough job but someone has to do it) and if we feel they aren’t up to scratch then they don’t stay on our list. Inverness has fantastic restaurants, cafes and pubs to suit all tastes and budgets. If you want the inside track on where to go you have come to the right place. A word of warning for guests visiting Inverness at peak times – the restaurants are incredibly busy! You will almost always need advanced reservations for a Friday or Saturday evening, and for somewhere like Rocpool, The Mustard Seed, Cafe 1, The River House, Fig and Thistle etc. just about every night is a busy night. If you want to keep things really local then we have 4 great restaurants within a five-minute walk of Inverglen Guest House. The closest to us (by a whisker) is The Heathmount, where you can enjoy great food in their restaurant. If exceptional food in an intimate restaurant is your thing, then The Fig and Thistle is the place to go. For great Italian food, there is no place in Inverness that does it better than Little Italy. For those who prefer the atmosphere of a super pub, then The Corriegarth may be just what you are looking for. The Heathmount – Telephone: 01463 235877. The closest restaurant to our guest house (5-minute walk) serving an excellent selection of local produce. Great choice for those not wanting to walk far. The Fig & Thistle – Telephone: 01463 712422. Just a short walk from the guest house this charming small bistro is a great place for modern cuisine. Not open on Sunday or Monday. Little Italy – Telephone: 01463 712963. A small family restaurant close to the guest house. Not open on Sundays. The Corriegarth – Dedicated to producing a broad range of home cooked food – from good old ‘pub’ favourites to quality, imaginative cuisine. One of the great pleasures of Inverness is the River Ness running right through the ccenter of the City. This elegant, fast flowing river, provides a superb backdrop to a number of restaurants. Fine dining is easy to find with Rocpool, The River House and The Mustard Seed all warranting a special mention. The Kitchen (a sister restaurant to The Mustard Seed) is a specialist in all day bistro type dining and affords those diners with a window seat some of the best views of the river and Inverness Castle. Nicky Tam’s (at the Glen Mhor Hotel) is another lovely restaurant with a wonderful cosy bar. The Mustard Seed – Telephone: 01463 2202. A favourite restaurant in Inverness, right beside the river. Let us know if you book this restaurant as we can provide a voucher for a free glass of wine. Always a good range of local Scottish produce. The Kitchen Brasserie – Telephone: 01463 259119. Same owners as The Mustard Seed. This restaurant is right on the river with great views over the Castle. Let us know if you book this restaurant as we can provide a voucher for a free glass of wine. The River House – Telephone: 01463 222033. Small intimate restaurant right by the river. Specialises in local seafood but has other options. Especially recommended for couples. Not open on Sunday or Monday. Rocpool – Telephone: 01463 717274. Excellent food and highly popular restaurant in a prime location right by the river. Not open on Sundays. Nicky Tam’s – Telephone: 01463 234 308. Relaxed restaurant and delightful bar alongside the river. Contrast Brasserie – Telephone:01463 223777. Situated at the Glenmoriston Town House Hotel, Contrast can certainly claim to be one of the best restaurants in Inverness. It enjoys an enviable location right on the river. Prime Steak & Seafood– Telephone: 1463 237377. Combining the best local ingredients with excellent cooking and a talented service team, Prime creates a divine dining experience. Located right beside the river this is a popular choice. Inverness City centre has a superb and varied range of restaurants. Just take a walk around and take a look at what is on offer and we defy you not to find somewhere that fits perfectly with what you want. We have no idea why Inverness should have developed such a great restaurant scene, but it has and we think you’ll be hard pressed to find anywhere of comparable size that can offer the diversity and quality of food that is on offer in Inverness. Enjoy! And make sure you have a spare notch or 2 on your belt. Urquhart’s – Tel: 01463 233373. Urquhart’s is a smaller restaurant that is one of our favourite places for a casual meal. Portions are generous so take an appetite. Not open on Mondays. Cafe 1 – Telephone: 01463 226200. Another superb restaurant offering great Scottish produce. Named as The Best Independent Restaurant in Inverness at the 2019 Inverness BID Awards.Not open on Sundays. The White House – Telephone: 01463 226767. Bistro and cocktail bar that is well worth a visit. Aspendos – Telephone: 01463 711950. If you love Turkish cuisine you’ll love Aspendos. Generous portions and excellent quality. Number 27 – Telephone: 01463 241 999. Some of the best pub food you’ll find anywhere. Sams Indian Cuisine – Telephone: 01463-713 111. A lovely modern Indian restaurant right in the centre of town. Indian Ocean – Telephone: 01463 237755. A very good Indian restaurant that comes highly recommended. The Ivy Bar and Kitchen – Telephone: 01463 241459. Small modern bar and kitchen with great cocktail menu and good food. Chez Roux at Rocpool Reserve – Telephone: 01463 240089. Fine dining that combines Scottish ingredients with a French twist. A great place for a special occasion. This restaurant is a little way from the city centre, but still within easy walking distance. Inverness has a vibrant range of pubs for all occasions. Wanting a bar that has great music every night? – Hootanany or Gellions may be the place for you. If a superb selection of beer is what you’re after, then The Phoenix Ale House or The Black Isle Bar is just the ticket. Looking for something more in the cocktail line, then you won’t go wrong with Bar One, The White House, The Ivy or Scotch and Rye. What about great food – Number 27 and The Waterfront are superb. Want to indulge in some great whisky? – Then why not try The Malt Room – a specialist whisky bar that exudes sophistication, All of these great places are worth a visit – but maybe not all on the same night! The Black Isle Bar – The Highland Capital’s premier Craft beer bar with wood-fired pizza oven. MacGreggors Bar – Telephone: 01463 710629. For an authentic highland experience you will be hard pressed to find better. A superb range of Scottish food, drink and music. This bar has been named “Best Concept Venue” at the prestigious Scottish Licensed Trade Awards in Glasgow, “Best pub” at the Highland Tourism Awards and “Best New Business” at the Highland Business Awards. 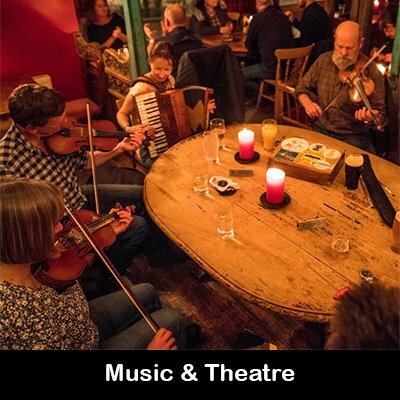 Hootanany: – Telephone 01463 233651 – Live music most nights and good hearty Scottish Food. The Phoenix Ale House – Great casual dining and an excellent range of beers. Well worth a visit. The Malt Room – The Malt Room is a cosy, intimate and welcoming place where people can come together to relax and enjoy great whisky. Bar One – Some of the best cocktails in town. Gellions Bar – Pub with live music. Inverness has a fabulous selection of great cafes and coffee shops. From the quirky Velocity Cafe to the Inverness institution that is Girvans, you will find somewhere that is right for you. If great vegetarian fayre ticks your boxes then Nourish or Velocity are the places for you. Indeed, any of the cafes listed below make a great place to chill out and refuel before continuing your Highland adventure. Velocity Cafe (and bicycle workshop) – A quirky vegetarian cafe on the way to (or back) from the city. Coffee Affair – Check out their fantastic range of sandwiches – we particularly love the Club Sandwich. Girvans – An institution in Inverness and very popular. Bridges the gap between a cafe and a restaurant. Opens later during the summer for evening meals. The Red Pepper – Great for coffee and sandwiches. Nourish Cafe – “Best Vegetarian Establishment” Winner 2015 (Scottish Food Awards). The best restaurants can get very busy so at peak times reservations are recommended. We are always happy to make reservations on your behalf.